When a sound or sound source is approaching you, it allows the acoustic energy to reach your ears. Along with the acoustic energy, the high-frequency energy gets greater as the sound approaches your ears. Within this chapter, it was discussed that blind individuals are able to play baseball even though they have lost their ability to see. 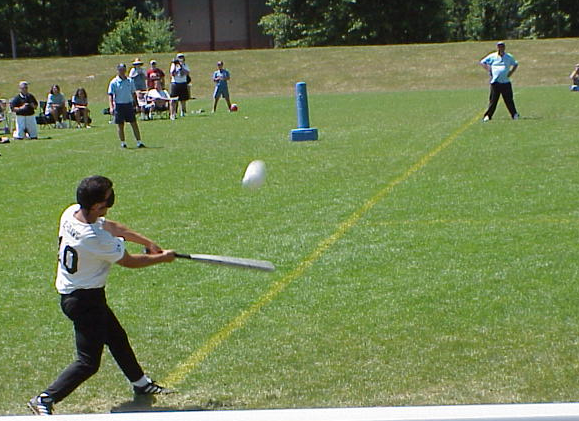 The Houston Heat is a team that plays beep baseball in which the majority of the players are visually impaired causing them to rely on the sounds emitted from the ball in order to be able to hit and field correctly. 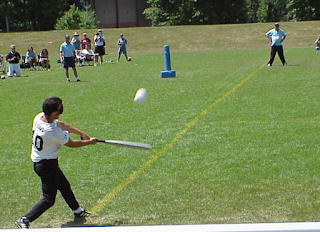 When at bat the player uses the auditory cues from the pitcher as well as the beeping of the ball itself in order to prep a perfect time to swing while the fielders listen to how the balls loudness drastically increases and decreases depending on how close or far he or she is from the ball. 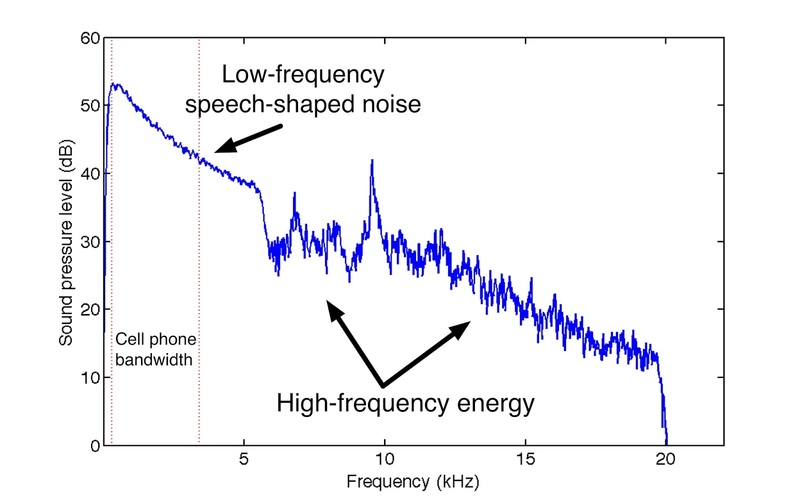 The brain is triggered to understand that when the noise is loud, the closer they are to the ball and when the sound is quiet the further the person is from the ball. The sounds emitted fro the bases, players, and ball all work together to allow the player to hear what is to come in the near future. From this chapter, I also learned that blind people are able to really hear the shape of various objects. 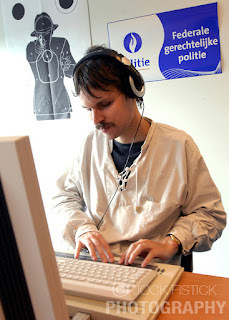 A perfect example that used his visual impairment to the max was Sacha Van Loo who has been blind since birth but easily learned to speak over eight languages which allowed him to become a professional interpreter. He joined Belgium's Federal Police Force in 2007 where he listened to recordings of wiretapped conversations of suspected drug and human trafficking. Since he has a lack of vision he figured that not only would his knowledge of eight languages help the force but also he seemed to attend more to noises and sound to compensate for his lack of vision. He never once thought his hearing was any better than any average Joe, however he wanted to use his abilities for good. Van Loo is able to recognize nonverbal aspects of the wiretapped recordings such as being able to determine where a subject is making the call from; bathroom, bedroom, open space, etc. since he is able to listen carefully to how the sound echoes in the background. He can also determine what type of phone the caller is using by being able to listen to the pitch and timbre of the touch tones. Overall, this chapter opened up my eyes to understanding that blind people can still partake in the same activities that non-visually impaired people can by just using some defined modifications. I enjoyed seeing Van Loo use his impeccable hearing to help out the police force, and also showing the world that when you lose one sense, it only makes the others stronger. I really enjoyed reading the chapter "perfect pitches, beeping pitches." I had never heard of blind baseball players, or beeping baseballs. It interesting how players develop the confidence to trust their ears. Blind baseball players learn to use the sounds of a beeping ball and buzzing bases for their hitting, running, and fielding. I'd never imagine a blind person playing sports, but this chapter has opened made me realize my ignorance and the limits I put on the blind. This was a well written post and I like how you went into detail about beeping baseball. I think it is fascinating that blind individuals can judge how close the ball is just from the beeping sound. I think playing baseball is hard enough as it is and its amazing that they can master it solely through their hearing. I enjoyed the chapter in the book about beep baseball as well. My brother plays professional baseball and I shared the chapter and this post with him and he thought it was really interesting as well and said he is going to try to get his team to play and see how well they do! I am interested in the criminal aspects of everything so I was interested in how the police asked Sacha Van Loo to analyze wiretaps and how successful he was. I think it is so interesting how some people see these situations as disadvantages but how quickly we find ways to over some or even use these qualities to our advantage!